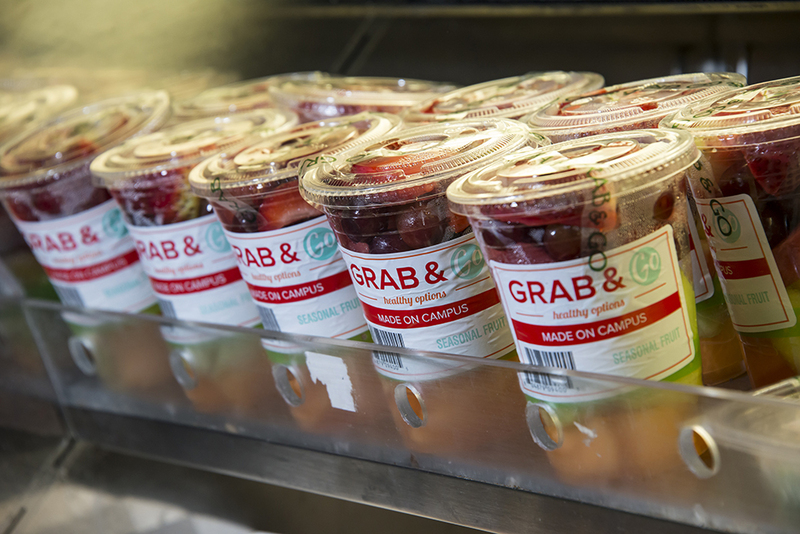 This semester, The University Corporation (TUC) at California State University, Northridge is making it easier than ever to find healthy and nutritional food options on campus. 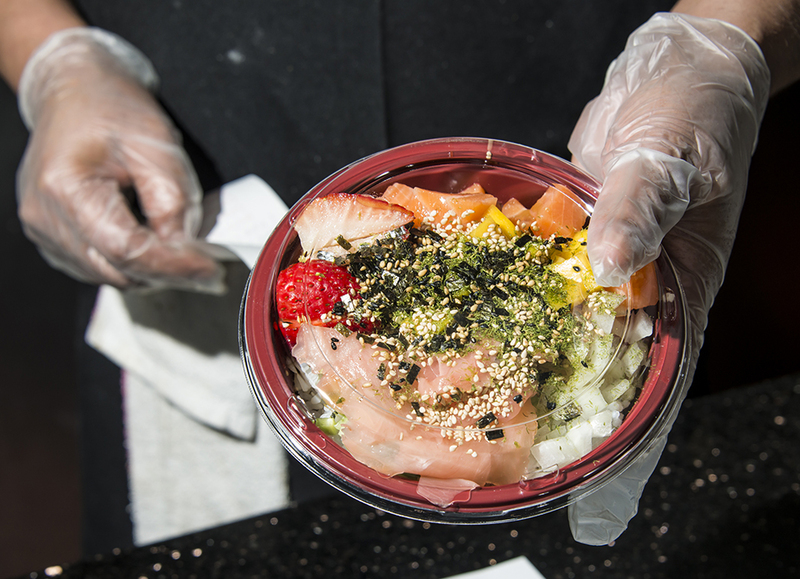 The new CSUN Dining Healthy Eating 101 Guide features information on the healthy options from several eateries throughout campus. The list includes symbols that indicate whether an item would serve as a great snack, is gluten free, kosher or vegan. The guide also features a section on ordering tips for different eateries and options available that would save calories. The nutritional differences in calories between items like a beef or turkey burger, a wheat or potato bun or a side salad or fruit and French fries will be a bit more noticeable. Corrigan, a CSUN staff member since 1994 who oversees more than 450 staff on campus, said the new CSUN Dining Healthy Eating 101 Guide is available at various eateries on campus. 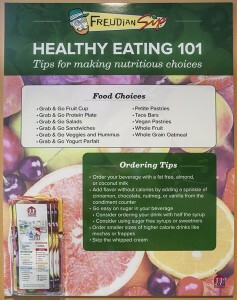 The guide enables students, faculty and staff to make healthier choices when eating on campus. Corrigan also said that peer nutrition counseling is available for those students who are interested. “It’s really about getting that information out there, so [students] can see what’s healthy and not healthy,” said Corrigan. 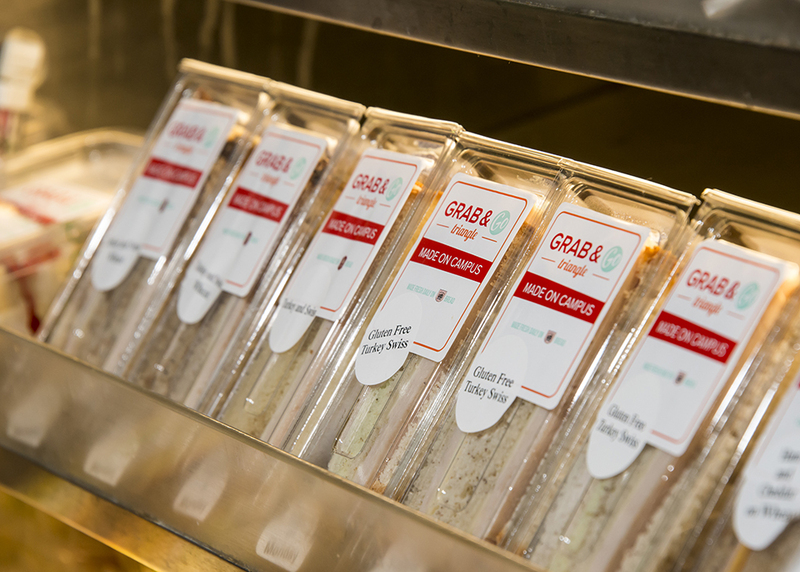 The Grab ‘n Go program, which began nearly seven years ago, offers fresh food and snack options like protein boxes, fresh fruit, gluten-free sandwiches and yogurt parfaits with granola, all made daily. Students who are pressed for time can find these pre-made and packaged items at various locations on campus. TUC will focus more on marketing and social media advertisement in order to better relay information to students this semester, according to Corrigan. Being online and paying attention to the trends is important to TUC during this transitional period, she said. 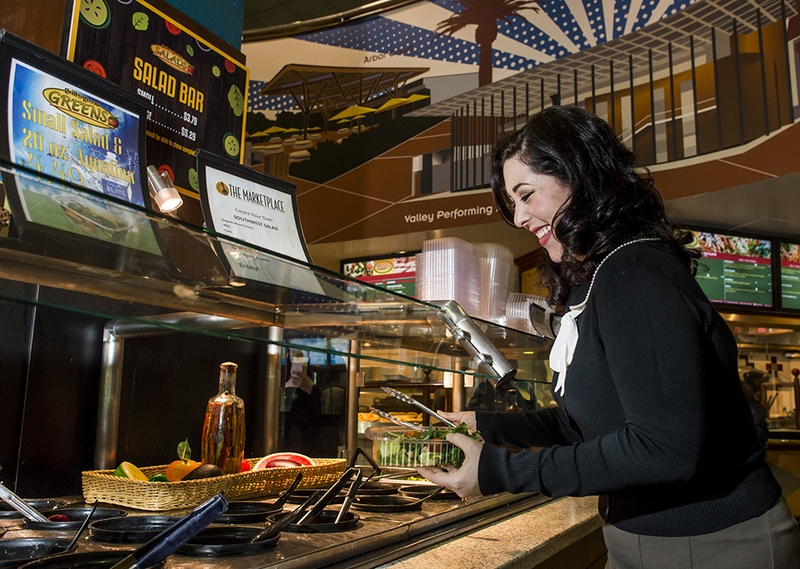 Student feedback is responsible for some of the changes that have occurred in dining. TUC surveys and comment cards prompted the changes.